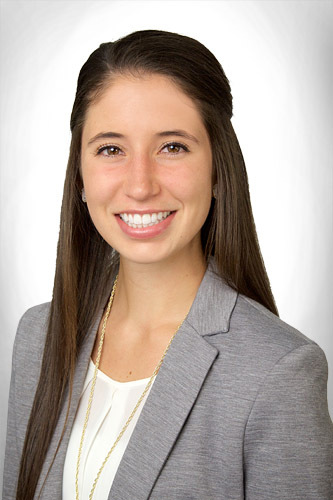 Kara Kirkby is an Event Coordinator for the Dallas Sports Commission who joined the team in March of 2016. She was born and raised in Austin, Texas and played volleyball competitively before moving to Dallas. She has a degree in Sport and Event Management from Elon University. Kara lives in Uptown and enjoys exploring new places to eat. Q: What does it take to achieve successful planning and execution of these events that you help with? KK: It is important to build a relationship with the client and understand their needs and the needs of the group. It's about anticipating things we can do to set their experience in Dallas apart from other events they may have. The success of our event is really based on the foundation of the relationships that we create and the southern hospitality that we bring to our events that they don't necessarily experience in other markets. Q: To you, what does it mean to bring events to Dallas? KK: Ultimately, it's making our clients feel like family and that the Dallas Sports Commission is really just an extension of their team. So, if they have any needs that we can best meet because we are the experts, the locals, and have the connections in the city to the vendors and people that they need to be in touch with, we can accommodate that. I think that is what makes people want to return to Dallas: the fact that they have us as a resource to support them in the execution in their event. Q: Can you talk a little bit about some events that you're planning right now and how they are going? KK: Throughout the summer we have a number of events with Varsity Spirit Corporation. All of these events look a little bit different in scope, size, and location. A lot of them are meetings and seminars, but through VSC we also have NCA cheerleading events which are some of our largest events annually. What a lot of people don't know is that we assist with a lot of the smaller events that are under the umbrella of Varsity Spirit. Most recently we provided gifts and credentials at one of the events. Really, it is just adding that extra Dallas touch for events that range from citywide to small and self-contained so that people will return to our city. Q: Why are you passionate about what you do? KK: I love my job because we are always doing something different everyday. We work with such a wide variety of events, so it is always something new and exciting. I love the people; both the people in the office and the clients we partner with. Everyone is working toward the same goal of bringing people and sporting events to Dallas and making their experience a great one. I love being able to be a part of that community and working toward that goal together with them. Q: The best sporting event you've ever been to was the FIVB World League Volleyball held in Dallas July of 2016 where the USA Men's Olympic team played Australia, Russia & Bulgaria. Why is that? KK: I started playing volleyball in middle school and played at the club level in college and it has always been the sport that I have been most passionate about and enjoy the most. This was definitely the highest level of volleyball play that I have been able witness in person, and it was really cool to see the journey of the men's team before they headed to the Olympics.